Foxy mice are renowned for the stealthy nature in which they pinch cheese from a trap. Their keen senses allow them to smell a trap from a mile away, making them quite difficult to lure. In the Calm Clearing location, the Foxy Mouse is only attracted when hunting with SUPER|brie+. In the Great Gnarled Tree location, the Foxy Mouse will be attracted when hunting with Standard Cheese and Gnarled Cheese. No Charms are required to attract the Foxy Mouse. Hunters can encounter the Foxy Mouse in the Calm Clearing location (though it is extremely rare) and in the Great Gnarled Tree location. The Foxy Mouse drops Swiss Cheese as loot in the Calm Clearing and Great Gnarled Tree locations. Attraction info and special event loot drops for the Foxy Mouse can be found at the individual event location pages. 31 March 2009: The Foxy Mouse was released with the introduction of the Calm Clearing. 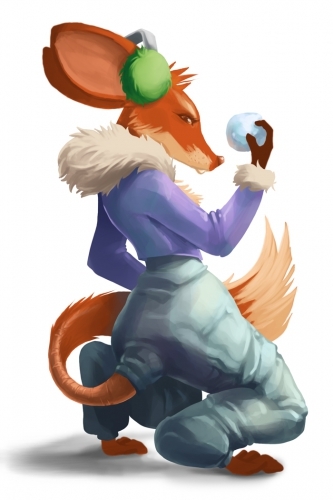 8 June 2010: With the MouseHunt 3.0 update, the Foxy Mouse gained a preference for SUPER|brie+ in the Calm Clearing. 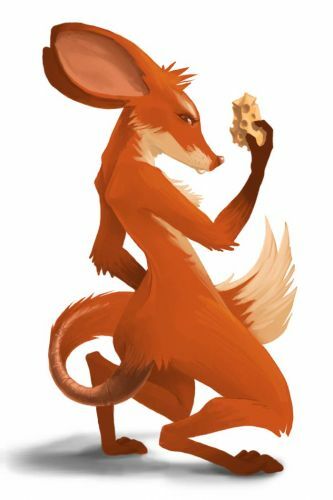 25 June 2013: The Foxy Mouse gained a vulnerability to Law traps with the release of Varmint Valley. This page was last edited on 20 February 2018, at 19:23.